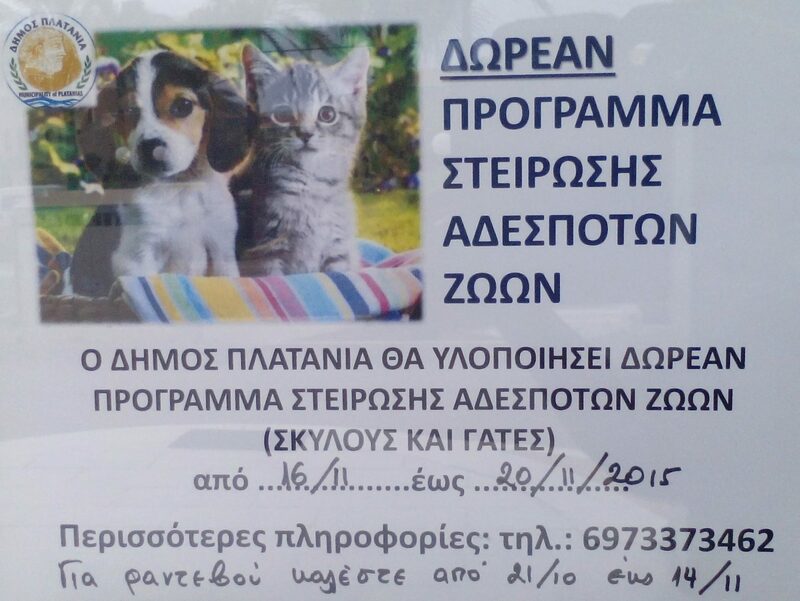 From 2.12.15 the second neutering program for stray dogs and cats. Volunteers needed ! please ask at the municipality of Platanias! successfully 150 dogs and cats were neutered in this program. we will keep you updated about the following programs, that seems to happen in December.